Today we went up to the Reagan Library to view the Thomas Fire from afar. 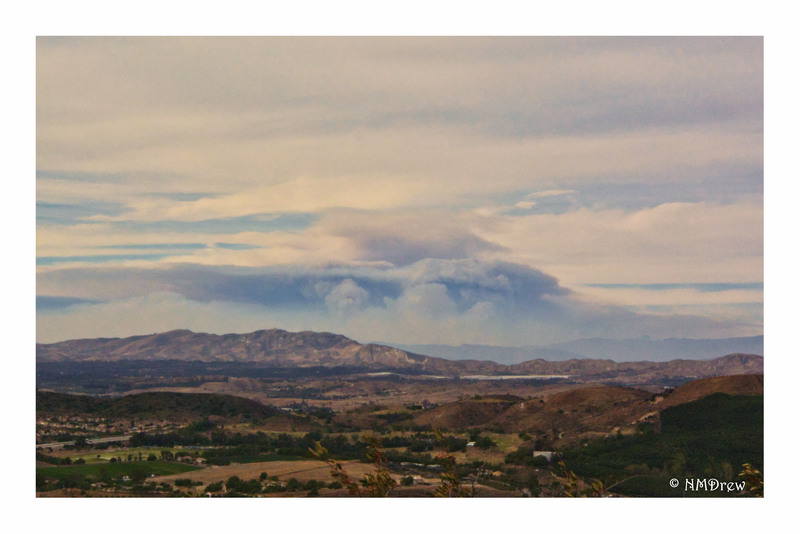 Here, you can see it from the hills around Santa Paula, California, past Ventura on the coast, moving toward Carpinteria in Santa Barbara County. Nearly 200,000 acres have burned in 8 days through rough back country. Valiant efforts by fire fighters from around the country are helping, but here and elsewhere in Southern California houses and animals and people are all suffering. It’s pretty grim. My in-laws were evacuated, but now are home. I’ve seen a lot of fires in the area, but this is by far the worst. It is becoming the new norm as we have less and less rain. At least the winds have dropped off and I hope they don’t return for quite some time. My own area hasn’t burned nearby for some years and we could go up in a moment. Today, it will be 80 F or a bit more . . . give me some snow and rain.